Summoning the cosmopolitan comparison isn’t ridiculous in the context of Chef Bill Taibe’s latest Westport venture, Jesup Hall, located on the main floor of the former town hall on Main Street, across from one edge of the new Bedford Square multi-use development. 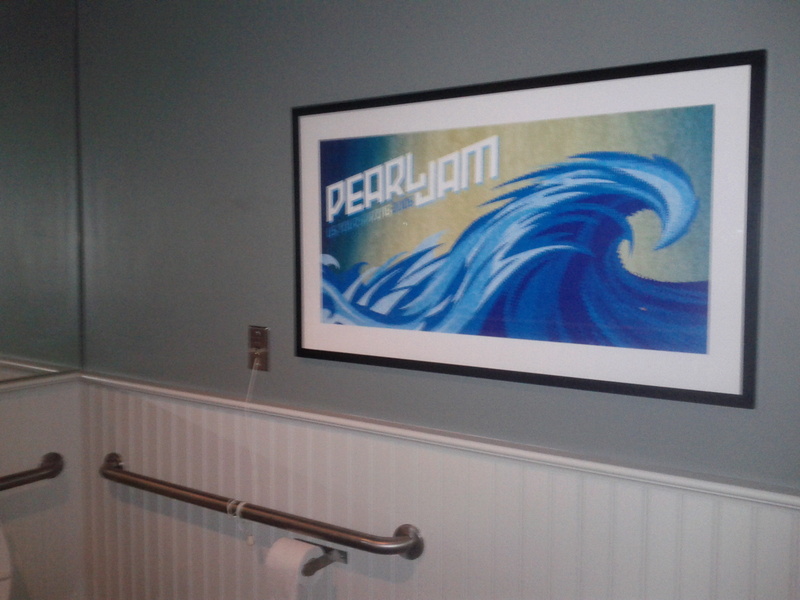 Jesup Hall in Westport seems poised for success. 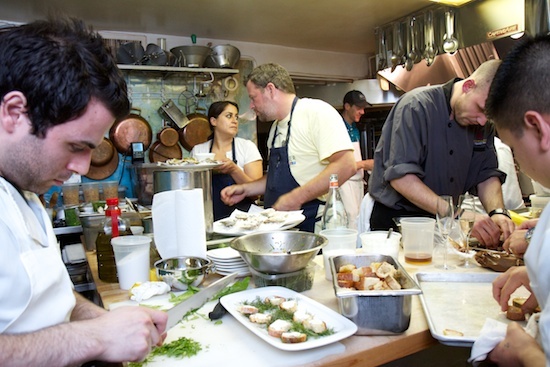 It is owned by Bill Taibe, one of Connecticut’s most celebrated chefs and owner of Westport’s Kawa Ni, The Whelk and Le Farm, a critically acclaimed farm-to-table restaurant that closed in 2015. For one of my final Burger Quest trips, I felt it was necessary to go to the place where it all began: Connecticut, aka the Nutmeg State, aka The State of Poor Cities and Rich Towns, aka The Birthplace of the Burger. Unlike most of my trips to single cities, my burger eating in Connecticut was literally all over the map, from Westport and Norwalk, to New Haven and Meriden, all the way up to Hartford and Manchester. Looking for dining, lodging, and top-notch attractions in Nutmeg State? Here are nearly 40 of our editors’ picks for the best of Connecticut. One of Connecticut's most highly anticipated restaurant openings is nearing go time in downtown Westport. 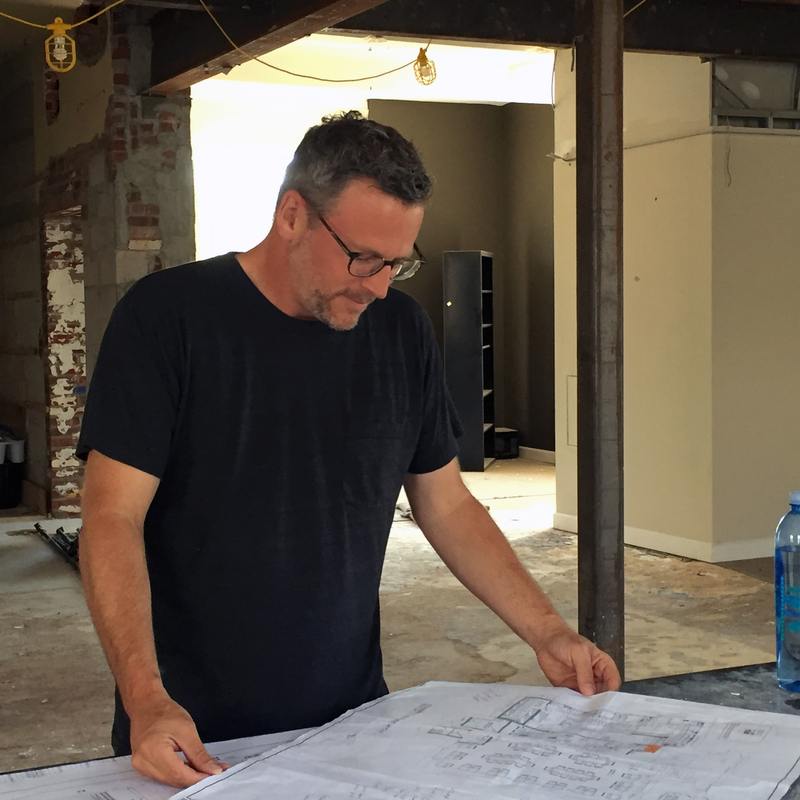 Bill Taibe and the team from Kawa Ni and The Whelk will open the doors to a new concept next week, Jesup Hall, located in Westport's old Town Hall. 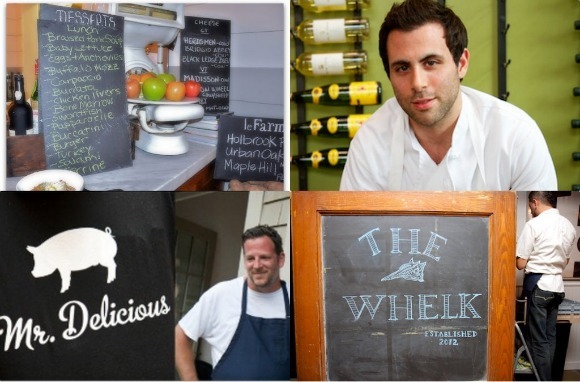 The Whelk is the locus of Westport’s thriving dining scene, representing one of the state’s most-creative seafood menus, thanks to James Beard Award-nominated chef and owner Bill Taibe. 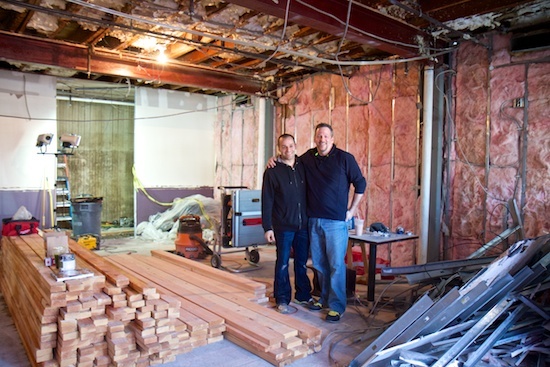 Noted restaurateur Bill Taibe is in the process of opening a new restaurant in Westport. Just don’t expect him to provide details about the menu – or even the new eatery’s name. Bill Taibe is passionate about Westport. Its vibe. Its verve. And its role as a culinary capital. Few would dispute that he is partially responsible for that vibrancy. In chef Bill Taibe’s kitchens at Westport, Connecticut’s leFarm and Whelk, it’s a constant evolution of recipes and ingredients. 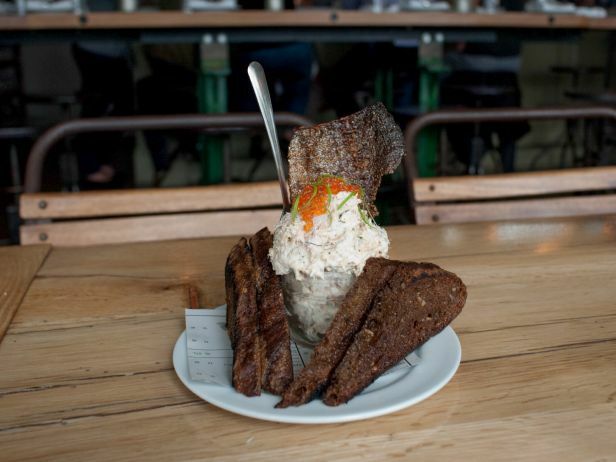 “It’s Iron Chef every day,” said Connecticut Magazine in its three-and-a-half-star review of Whelk, which Taibe launched in 2012 with regional seafood very much on his mind. Bill Taibe is the driving force behind The Whelk and Kawa Ni, both located on the Saugatuck River, in Westport. 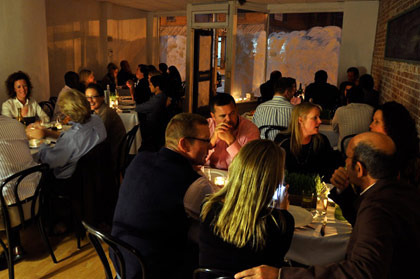 The Whelk opened in 2012 and immediately received an “Excellent” rating from the NY Times, “Superior-Extraordinary”, Connecticut Magazine. 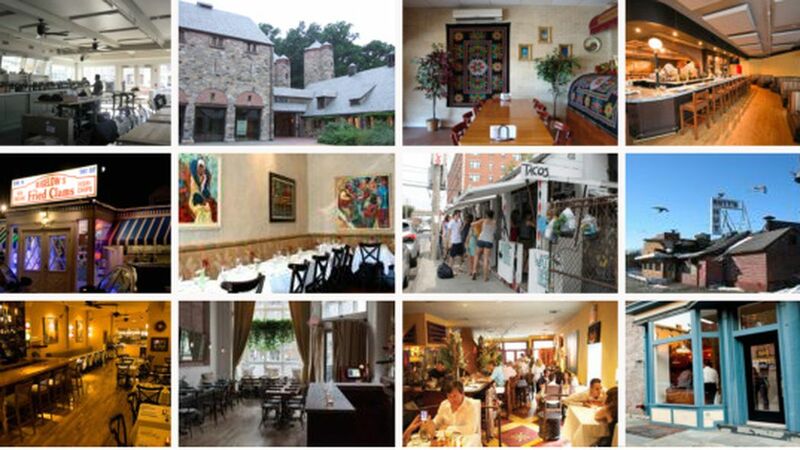 “Best New Restaurant-2013” and “Best Seafood-2013”, by Connecticut Magazine. I'm a big fan of family style meals. The simple act of sharing food can make a meal so much more intimate and enjoyable. 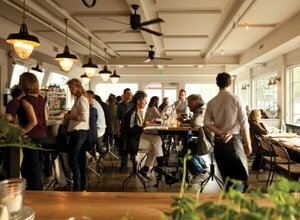 If you've ever been to The Whelk, you know it's a bustling but cozy space where you feel the energy from everyone seated around you. 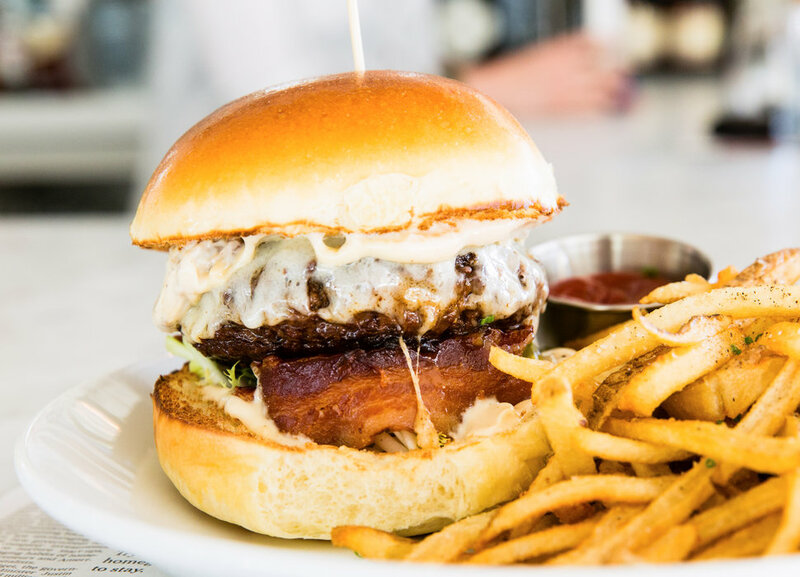 The 2015 “Dry Aged Beef Burger” prepared by Chef Anthony Kostelis begins with a 7-8 ounce patty topped with sweet pickles, Bella Bantam cheese, bacon and onion mayonnaise, all encased in a buttery brioche. If there is any cuisine that is not represented well in Fairfield County, it is Asian, but all of that is about to change. Bill Taibe, Owner of The Whelk and Le Farm, has informed CTbites that he has signed a lease on the old Bistro 88 space in Bridge Square, Saugatuck, and will be opening his 3rd venue by the beginning of summer. What now you ask? Think Asian. My food is known as being aggressive, punch-you-in-the-face, almost overseasoned. I combine salty, sweet, sour, bitter flavors with really simple ingredients. We had one dish that created craziness around here called The Wicked. It’s a foie gras cake that we just made like a regular white cake, but with foie gras fat instead of butter. We served it toasted for dessert in the late summer with warm foie gras caramel and a velvety local peach gelato melting over the top…. Team Bill Taibe brought Arthur Avenue to Danbury CT, at the 6th Souterrain (a.k.a. Underground Dinner). The venue was Stanziato’s Wood Fired Pizza, and the restaurant swap allowed diners to enjoy not only a little piece of Little Italy, but some unique dishes and flavors made possible by the wood fired oven prominently featured in Matt Stanczak’s kitchen. close to this complex and captivating variation: yolks mashed and mixed with a homemade green-goddess dressing (creamy, tangy, and once as beloved as ranch), then stuffed into egg-white halves. The dish gets better. The eggs are topped with two elements similar in texture but opposite in character—crunchy, sweet pickled onions and crunchy, sweet baconlike guanciale. Or you can have your deviled eggs with fried oysters on top. Both are right. Jaques Pepin smiled approvingly as his granddaughter, Shorey, cracked an egg on the counter and let the bright yellow contents spill into a metal bowl. CTbites has some big news for fans of James Beard nominated chef Bill Taibe and his Westport restaurants, Le Farm and The Whelk. Guests to both will find exciting changes and a couple of new faces in the kitchen at both of these Westport hot spots. 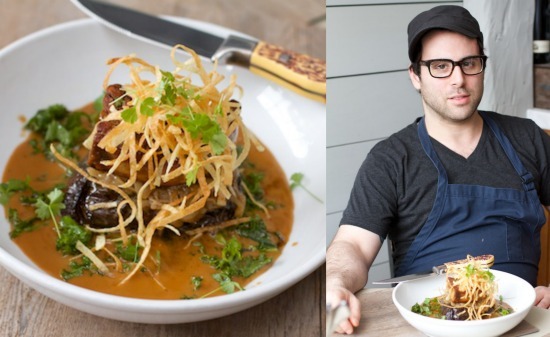 Chef Arik Bensimon (The Spread, Napa) has already settled into Le Farm’s cozy chef’s quarters, and Geoff Lazlo (Le Farm, Gramercy Tavern, Blue Hill Stone Barns) has moved from his post at Le Farm to head the busy kitchen at The Whelk. 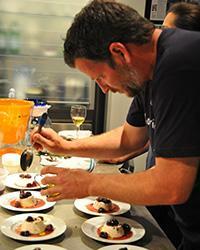 Chef Bill Taibe is working hard and having fun. This is truly what a chef’s life should be. One restaurant inspired by the land (LeFarm), one inspired by the sea (The Whelk) and a pop up restaurant (Souterrain) inspired by whatever the hell he feels like. All this freedom and creativity has paid off as Chef Bill was recently named a James Beard award Best Chef Northeast semi-finalist. 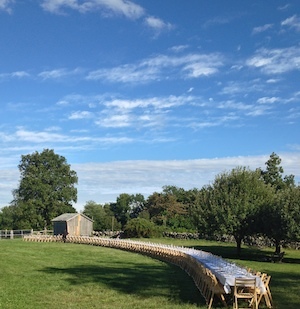 The Hickories Farm was recommended to us by an OITF regular. Farmer Dina Brewster raises vegetables, chickens, goats, pigs and sheep. We are looking forward to taking a good look around Dina’s farm and setting the table. The last year has given Westport three high-profile (if completely divergent) openings. 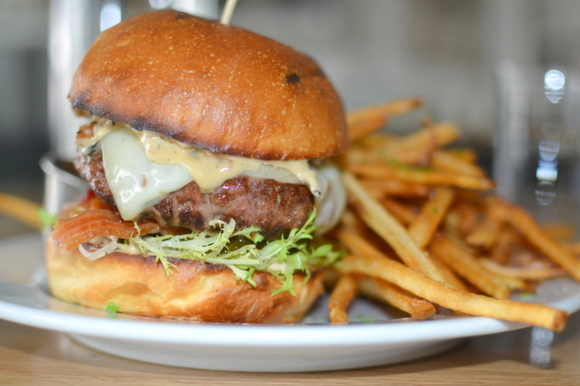 Danny Meyer’s Shake Shack opened its first venture into Connecticut and shook-up the Westport fast food scene and Mario Batali and Joe Bastianich opened a second Tarry Lodge in Saugatuck, bringing a different twist to traditional Italian restaurants. 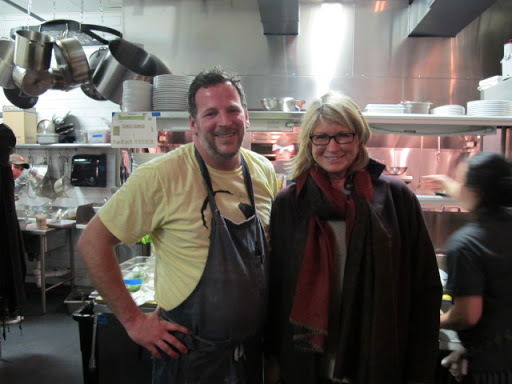 Finally, Chef Bill Taibe, the James Beard nominee and Owner / Chef of LeFarm opened The Whelk, his second Westport restaurant, on the Saugatuck River, just a short stroll from Tarry Lodge. Bill Taibe and his team of chefs hosted Souterrain Sunday night, #5 in his series of underground pop-up dinners featuring local ingredients, unexpected locations, and good company. Ironically, Souterrain #5 was originally scheduled during last October’s spectacular Nor’easter, and while Halloween did go on, Souterrain had to be cancelled. This year, dinner prevailed, and guests were delighted to find themselves at The Westport Arts Center on the last day of the appropriately themed FOODIES art exhibit. (The location is only divulged 12 hours before the event). 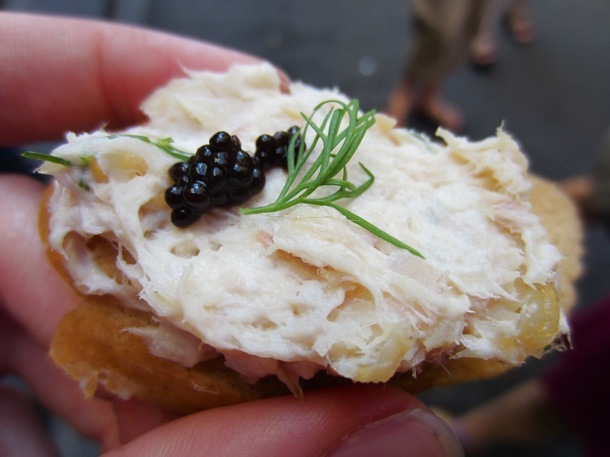 Join us for the Northeast’s premier culinary festival October 4-6! 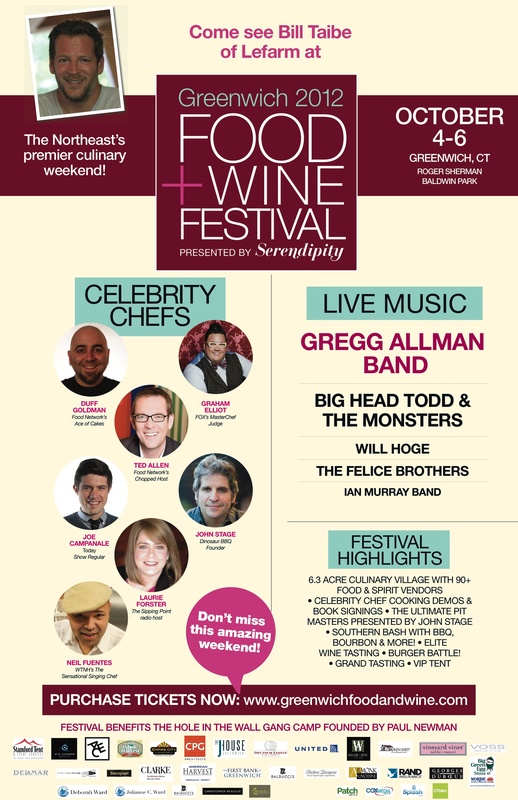 The Greenwich 2012 Food + Wine Festival is a three-day event that benefits the Hole in the Wall Gang Camp and will include live entertainment from The Gregg Allman Band, Big Head Todd and the Monsters, The Felice Brothers, the Ian Murray Band and Will Hoge, among others. Our celebrity chefs and acclaimed culinary guests will include James Beard award-winning chefs, Ted Allen, host of Food Network’s “Chopped,” and local luminaries like Bill Taibe of LeFarm and The Whelk, Rui Correia of Douro and Piri Q, Debra Ponzek of Aux Délices and Frederic Kieffer of l’escale. Looking to escape the city this weekend, but can’t afford a plane ticket? You’re in luck. Here are 12 restaurants, all within an hour’s drive of NYC, that are worth checking out. 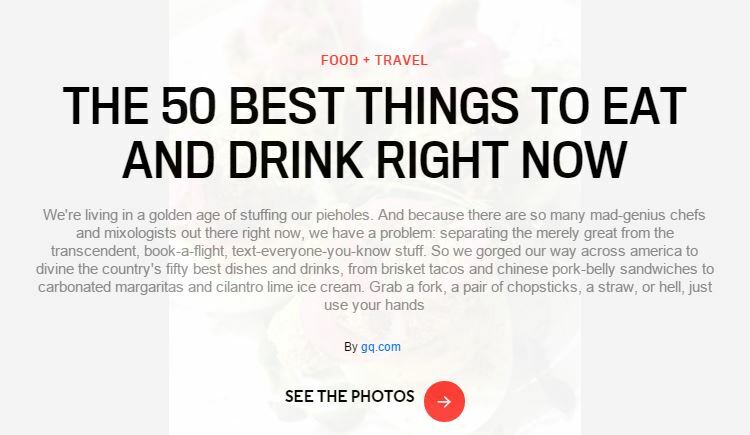 Whether you’re craving an ocean breeze, some fresh air, or just a little elbow room, this guide will help you turn your next lunch or dinner into a mini vacation. Now all you need is a car. 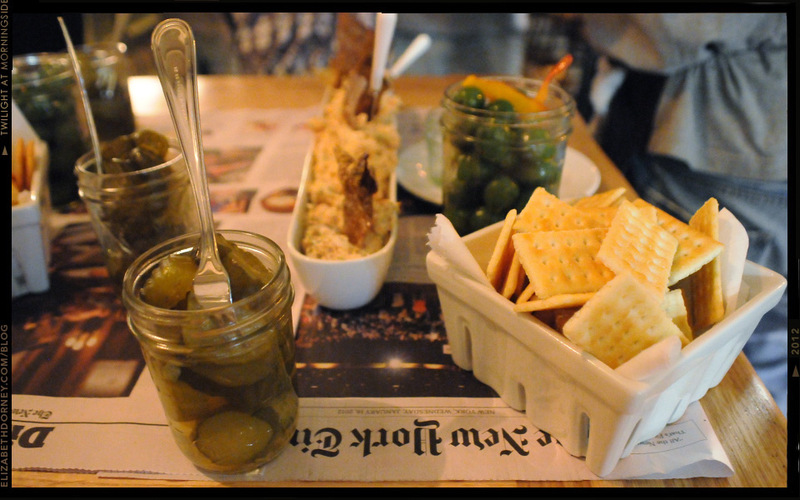 The Whelk in Westport is a thrill-seeker’s paradise for been-there-done-that foodies. The name proclaims the cuisine and tells you a lot about the chef. Who but chef Bill Taibe would name a new seafood restaurant after an obscure marine gastropod with a sharp pointed shell? 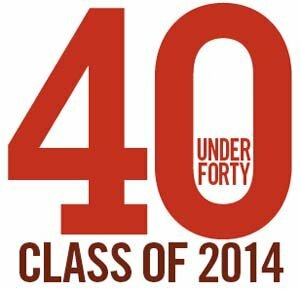 Click the link to see a full list of nominees, including our own Bill Taibe! For a chef, one of the most coveted cooking spaces in American is the tiny kitchen that sits in the belly of The James Beard House on West 12th Street, NYC. 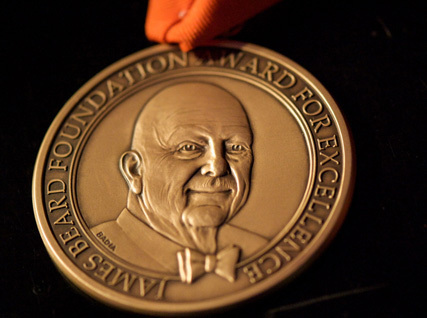 The ancient copper pans, the elegant dining room, and the chef’s whites that hang on the wall bearing the signatures of accomplished chefs from around the world, carry with them a lineage that celebrates the prolific food writer, cookbook author, and teacher, James Beard. How to Get There: The events change locations but they’re generally in the Westport and Norwalk areas, under an hour ride on the Metro-North from New York City. When to Go: Sign up for the Souterrain newsletter and jump on reservations as soon as they send out their impromptu events (spots book up fast). There’s a hidden gem tucked away in the Saugatuck section of Westport calledThe Whelk, but it won’t remain hidden for long. 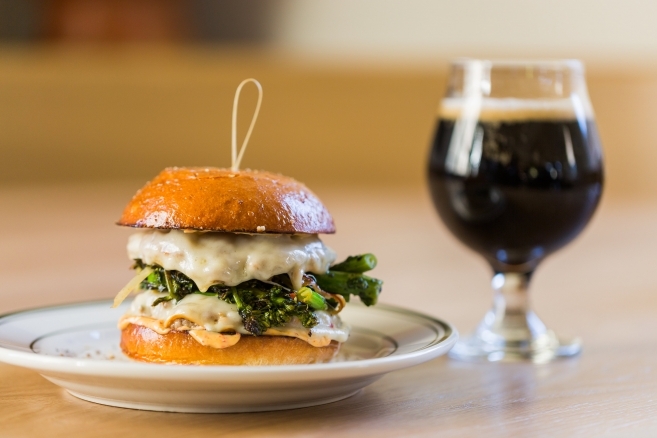 In fact, even before this weekend’s stellar NYT review, the place was already trending pretty hot, thanks in large part to the bona fides of chef Bill Taibe, he of Napa & Co. in Stamford, and another highly-rated Westport joint, Le Farm. Over the past 20 years the New Orleans Wine & Food Experience has raised more than $1 million for non-profit organizations right here in our community, while showcasing local food and chefs, and national and international wines. Join Martha for an hour dedicated to conserving, protecting, and appreciating our essential resource: water. Prepare local and sustainable seafood with elegant recipes for roasted oysters with bacon and warm crab fondue from chef Bill Taibe of The Whelk restaurant. “Fork it Over” for the Westport, CT Farmers’ Market! On Saturday evening, I was invited to a really fun and delicious event in Westport, Connecticut, the town where I resided for many years. 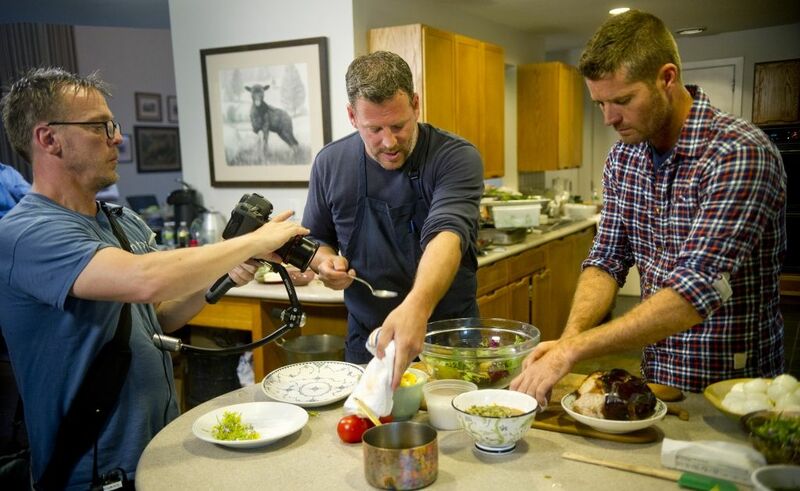 It was called “Fork it Over” and was a benefit for the Westport Farmers’ Market, which was founded in 2006 by the late Paul Newman and his Dressing Room Restaurant partner, Chef Michael Nischan, with a total of 14 vendors. Today, that number has more than doubled. The market, a non-profit organization, is open year-round and works with farmers, vendors, and community groups to promote local, sustainable food. “Fork it Over” was organized to raise proceeds to help support various outreach and education programs and food programs that Westport Farmers’ Market is involved with. My friend, Sal Gilbertie, of Gilbertie’s Herb Gardens, offered a large greenhouse for the occasion. Guests at this sold-out event were treated to foods prepared by five of the area’s finest chefs – Michel Nischan of Dressing Room, Matt Storch of Match, Bill Taibe of leFarm and The Whelk, Tim LaBant of the Schoolhouse at Cannondale, and John Barricelli of SoNo Baking Co. & Café. And, Fountainhead Wines & Distillations poured carefully selected French and California wines to pair with the delectable bites. This leFarm/Souterrain fan got extremely lucky this week! 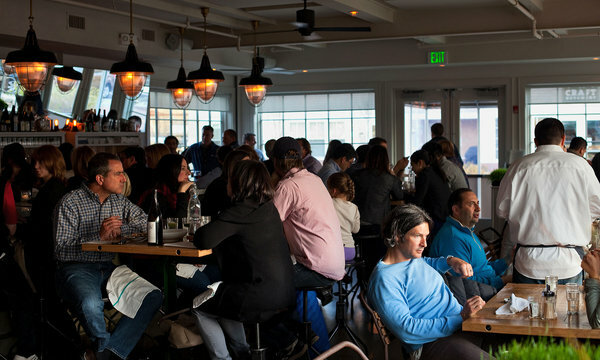 Welcome to Westport’s brand new seafood spot, The Whelk. leFarm devotees and local food fans will recognize these names: Bill Taibe, Dan Kardos, Massimo Tullio. Plus a team of new and familiar faces providing a warm welcome, delicious food (mostly savory, with a few sweet finishes) and a growing list of libations offered up from an ample bar. What exactly is a whelk? Well, this gastropod or sea snail is a darling of sustainable seafood lists and currently featured on the restaurant’s new menu, via the chowder. From scallop crudo and oysters on the half shell to smoked trout dip and octopus/squid poutine, you’ll find the bounty of the sea is the main point of inspiration at The Whelk. Landlubbers can stick to the lamb burger and crispy fries or hope that Chef Taibe won’t completely strike fried chicken from the menu. WESTPORT –The Whelk — a carnivorous sea snail housed inside a colorful spiral shell, is abundantly found along the East Coast. It is also associated with the name of chef Bill Taibe’s latest restaurant in Saugatuck. Located at 575 Riverside Avenue, the waterfront restaurant is in its final stages of design and construction, with an anticipated opening date of Jan. 27 or Jan. 28. 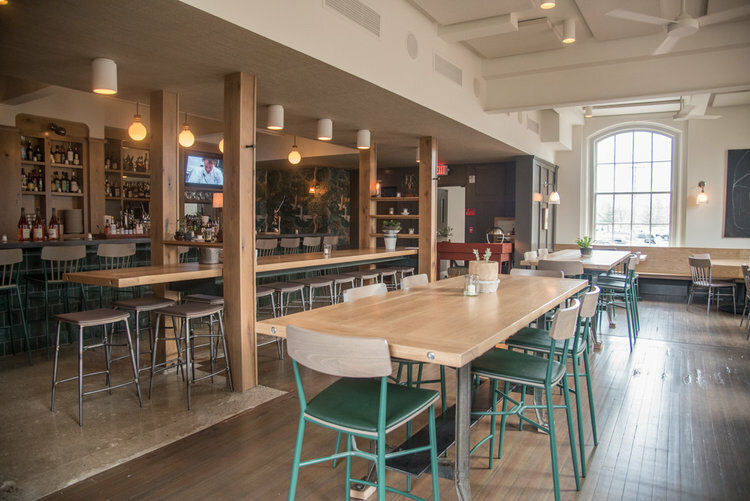 With wall-to-wall windows, the bright airy room features bead board paneling, a fresh sage green hue saturating the rustic bar area and industrial meets farmhouse-style seating for 56 guests. Read the entire article. Friends and family were treated to a sneak preview of The Whelk, Bill Taibe’s latest venture in Westport on Wednesday evening. Steeped in the sea with unmistakable flashes of leFarm’s seasonal luxury, The Whelk is poised to establish Saugatuck as the culinary center of Westport. Bivalves in various shapes and sizes, octopus poutine, barbequed clams, a blackened pollock sandwich with spicy slaw and a lamb burger are now permanently seared into memory. Among many small bites, it is these I pray make it onto the menu. Admittedly, this reverence may be due in no small part to their pairing with the “perfect Manhattan” – a smooth classic of Bulleit bourbon, Dolin dry and sweet vermouth, bitters, and a lemon peel. Read the entire article. As seen in the Fairfield Green Food Guide. Bill Taibe has taken to the sea. Known for trekking to local farms to get sustainable, seasonal produce, the chef-owner of the heralded restaurant Le Farm is about to open The Whelk. The new restaurant in Westport will feature sustainable seafood from local and regional sources. Taibe and The Whelk’s chef de cuisine Dan Kardos recently boarded Norm Bloom’s oyster boat and sailed out into Long Island Sound. Bloom is a third-generation oysterman in Norwalk who has branded local blue point oysters as “Copps Island oysters” after one of the Norwalk Islands near where he seeds, farms and harvests oysters. As Taibe and Kardos watched Bloom’s crew haul in the harvest, the importance of replenishing the beds was underscored. Read the entire article. Up until yesterday, if you had asked Bill Taibe for the name of his new Westport based seafood restaurant, he’d tell you what he told the town when they needed a name for the phone directory, “The oyster place in Saugatuck.” But as of this morning, this seafood haven has been given a brand befitting its waterfront surroundings in Westport’s burgeoning restaurant scene. “The Whelk” will be opening in roughly two weeks, and the restaurant is poised for its first round of guests.